The Steam Winter Sale is on now! It began on December 21st at 6pm GMT and runs until January 4th, 2018 at the same time. Hundreds of games are on sale. Buy both Steam Controller and Steam Link and save. An example of 9 games you can pick up for under $20.00 during the winter sale. If you are a Valve Fan, pick up the Valve Complete Pack which includes 19 games. A $200.00 value for only 16.40. That's like 92% off the regular price. 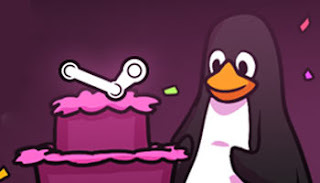 Note Left 4 Dead will not work on Steam Linux.